Washington’s Brandon Underwood (pictured during warm-ups prior to a match against Clinton-Massie) bowled a perfect 300 game later that same evening, Wednesday, Jan. 11, 2017 against Massie at LeElla Lanes. It was Underwood’s first career 300 game. 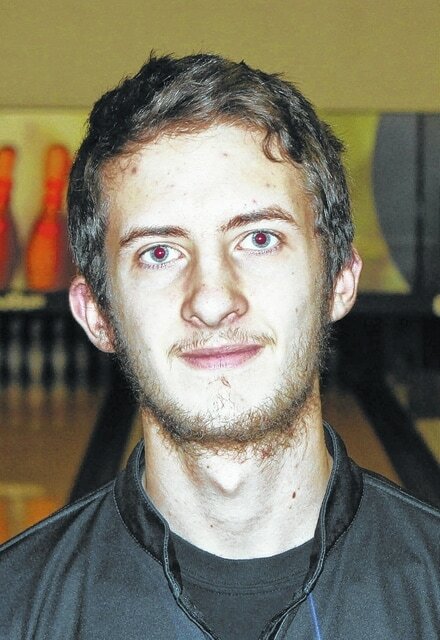 Brandon Underwood, Washington High School junior, bowled a perfect 300 game during a match against Clinton-Massie at LeElla Lanes Wednesday, Jan. 11. He bowled the 300 game (which is 12 consecutive strikes) on lanes 13 and 14. In the game before the 300 game, Underwood said he bowled a game of 198. “Starting off, it was just kind of calm,” Underwood said. “I got through the first five (frames). From the sixth on, that’s when I knew something was going on; that I could do something with this. “As I got later into the game, me and my teammates, we were singing songs to each other, kind of keeping me loose and relaxed and not thinking about the 300 that I could potentially throw,” Underwood said. “I got up there in the 10th frame and I just kept thinking about that song that we were singing, it’s called ‘I Spy’. Underwood also stated that his average puts him in the top group of bowlers that, if he stays there, would land him a First Team, All-SCOL nod. Underwood achieved First Team, All-SCOL status as a freshman and as a sophomore. Underwood held an SCOL average of 215 as of Jan. 17 which is the highest average for the Blue Lions. Washington boys beat Clinton-Massie on Jan. 11, 2,677 to 2,622. Along with Massie, Underwood said that Hillsboro and Wilmington are also near the top of the SCOL (the Record-Herald spoke with coach Underwood on Jan. 17). 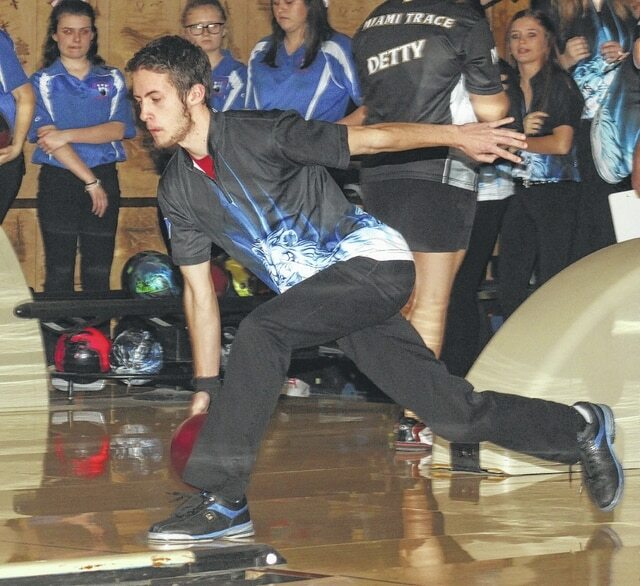 Underwood’s 300 game was the first in the now five-year history of the Blue Lion bowling program. Nathan Warner held the previous record for the Blue Lions with a 299 game. https://www.recordherald.com/wp-content/uploads/sites/27/2017/01/web1_Brandon-Underwood-Blue-Lion-bowling-Jan-2017.jpgWashington’s Brandon Underwood (pictured during warm-ups prior to a match against Clinton-Massie) bowled a perfect 300 game later that same evening, Wednesday, Jan. 11, 2017 against Massie at LeElla Lanes. It was Underwood’s first career 300 game.